Find inspiration for the best lounge living with elegant furniture and furnishings from John Lewis & Partners It’s easy to get creative and give an instant room lift to suit your style. Create a focal point from a range of design-your-own sofas and snuggler chairs then surround yourself with a soft glow with the perfect lighting. The John Lewis Audrey lighting collection offers high style and ambience in brushed chrome. A modern range featuring square pleated shades in taupe, easy to fit drum shaped ceiling light shades, wall lights and table lamps adorned with ribbon and button trim. Finally complete the picture with the matching floor lamp. Compliment your elegantly pleated taupe lighting with subtle shades of neutrals and brown. 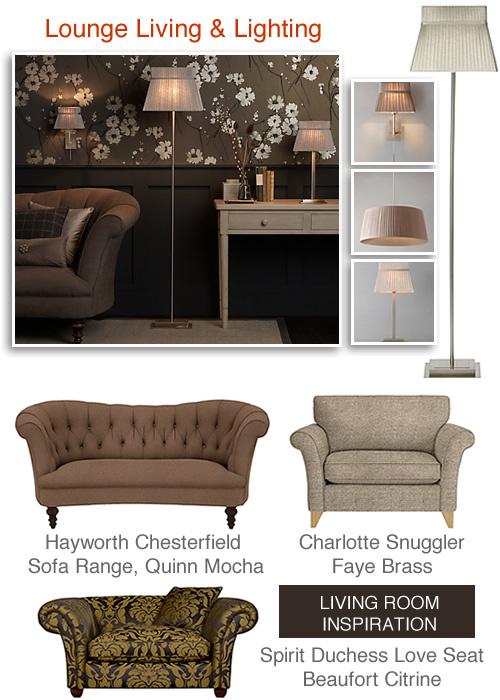 The Charlotte Snuggler Chair, shown in Faye Brass matches well with the creamy coloured lighting. Traditional scroll arms add a dainty look and the slightly flared shape gives a classic silhouette. Other features include smart tapered legs, sumptuous fibre filled seats and back cushions within a hardwood frame. 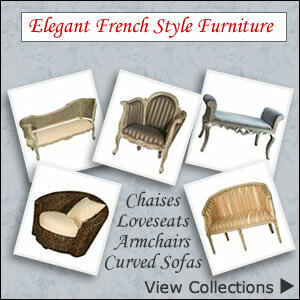 For a luxurious look make a statement with the Spirit Duchess love seat. Features include large curled arms, deep back and hardwood feet made from artisan wood turners. Handmade in the UK this finely crafted piece of furniture will make a sophisticated and comfortable addition to the living room. Coil sprung suspension and premium fibre gives the ultimate feeling of indulgence. 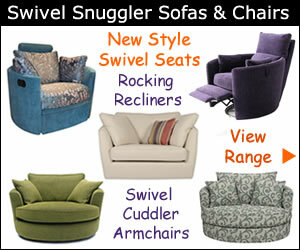 Best of all the small sofa comes with removable arms and back for easy access into your home. The Design Your Own service offered at John Lewis allows you to create your perfect sofa, snuggler, armchair or corner unit. 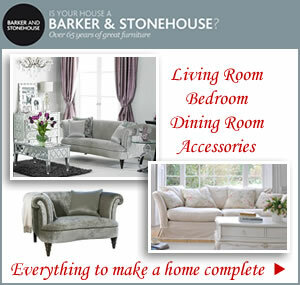 With over 50 shapes and 400 colours and fabrics to choose from getting is right has never been easier. Whether you like pastel or bold, plain or patterned there’s something for every taste. Lovely cool cotton and linen, luxe looking velvet and chenille and the rich warmth of wool. For a classic touch we love the Hayworth Chesterfield sofa with its impressive sweeping design and deep buttoned back.